I flew into Auckland this morning to ride at Ellerslie in the Karaka Million race day which is one of their main meetings of the year. This meeting coincides with the Karaka horse sales. I start in race four, with CHARLES ROAD for Lance O’Sullivan & Andrew Scott. He looks a very exciting horse on his replays. He has only had three starts and never been out of the top two. He comes into this race on the back of a last start victory so he should have confidence. He has come up with the outside barrier draw but his usual run style is to get back. If he has luck from the barrier I would expect him to be powering home and with a view that he may be a potential Derby horse. PRINCESS RIHANNA is my ride in race five, the Karaka Million, for Lance O’Sullivan & Andrew Scott. She has two runs to date. She won on debut by controlling the speed of the race and was quite dominant. Last start she was slow and received pressure and found herself back in the field. With that experience it should help her in this big field and competitive race. She has come with a very favourable barrier draw and if I’m able to utilise that she is going to give herself every possible chance. It is a strong edition of the Karaka Million but she is one of the main chances. I start in race one, with PEARL CONGENIAL for Robert Smerdon and she races in the Pearl Bloodstock colours made famous by Caulfield & Melbourne Cup winner Dunaden. She has been very well placed and is undefeated this preparation. She now steps up in trip and has found herself in a very winnable race again. She has had experience down the straight which will hold her in good stead and the conditions of this race finds herself only 1kg over the minimum. She is clearly one of the main chances in this race. CAT’S WISH is my ride in race two, for David & Ben Hayes & Tom Dabernig. She has had two starts this preparation and both in Melbourne. I rode her first up where she wasn’t beaten far at Moonee Valley but she did struggle to get around the tight turning track there. Since then she went to Flemington when up in trip and made all the running and wasn’t beaten far. She has come up with a wide draw and they have changed her gear around and put on the full blinkers instead of the one cup that she was racing in. In this even race I expect her to be extremely competitive. In race three, I ride LYCURGUS for Danny O’Brien. He was very impressive on debut when he won at Bendigo beating a strong field. Since then he has been consistent and competitive without winning. He has come up with a nice draw where he should get an economical run. This is a very competitive 3yo event but he does have the minimum weight and should make his presence felt. SAVANNA AMOUR is my ride in race six, the Inglis Dash, for John & Chris Meagher. She has been targeted for this race but she has never seen the straight so I will be mindful of helping her. She has shown very good form in Queensland. In this highly competitive race, if she handles the straight, she is one of the main chances. Race seven, the Kensington Stakes, I ride SUPER FUN for David & Ben Hayes & Tom Dabernig. He has been a very consistent horse in Adelaide and on his resumption he raced well when not beaten far at this track and distance. He should benefit from that experience down the straight and he has the minimum weight so expect him to be there a long way. DIVINE MR ARTIE is my ride in race eight, for Brendan McCarthy. He was scratched from Caulfield Thursday and saved for this. This is down in grade from his last run at Listed level. He has got a nice barrier draw and there looks to be nice pressure and on his best form he will be winning this race. In the last, race nine, I ride BATTLECAMP for Lee & Anthony Freedman. He was hopelessly unlucky last start when I rode him at Pakenham. He now steps up in trip and having the experience of riding him last time should pay dividends coming into this. He hasn’t won in over 480 days but he has the ability to win at Group level but is still a work in progress as I found out last time. All going well and he handles the extended trip I expect him to be winning this. I start in race two, with BALLE D’OR for Robert Smerdon. She has had one start and ran into a very smart one and wasn’t suited that day to the straight course at Flemington. I like the way she trialled coming into this where she showed good gate speed, was able to settle and showed nice acceleration late. If the race is run to suit her she can run well, bearing in mind the rail is again in the true position as it was seven days ago, so it will be interesting to see how the track plays. I would expect her to be competitive but there is a lot of unknowns with half the field being first starters. PETITE’S REWARD is my ride in race five, for Brendan McCarthy. She is an ultra-consistent mare who loves the course and distance. She has a lot of speed and has come up with a favourable barrier draw in gate two. She makes her own luck and even though she is a small mare, she has won with this weight previously and will be there for a long way. In race six, I ride THESPINIS for Darren Egan. She was narrowly defeated last time at a similar distance, she has come up with a middle barrier draw in this even race and on her best form she is going to be competitive. PEACOCK is my ride in race seven, the Group 2 Australia Stakes, for John O’Shea and Godolphin. He is resuming and has come up with a very favourable barrier draw. He is an ultra-consistent horse who is only lightly raced and only missed the placings twice. Taking on the older horses at Weight-For-Age tells me they think a lot of this horse but this is a very competitive race and will be an indication where he finds himself through the Summer and Autumn carnivals. Today is Australia Day with the traditional meeting being held at Caulfield. 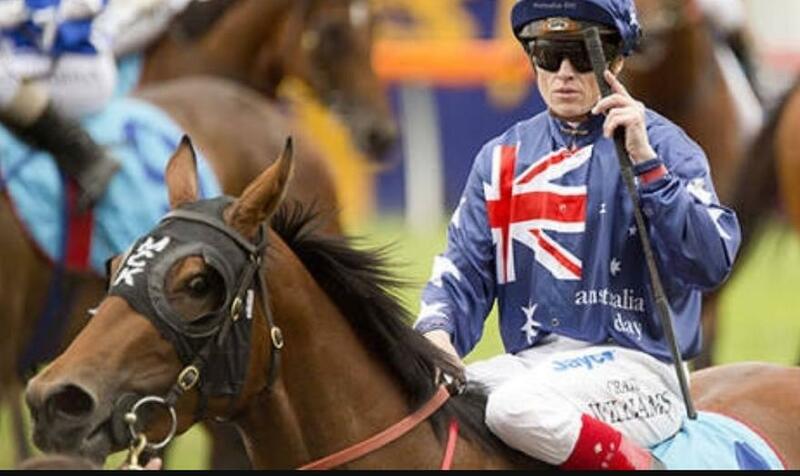 The jockeys on horses wearing saddlecloth number one have the privilege of wearing the Australian Flag silks. I start in race one, with ROYAL APPLAUSE for Symon Wilde. She has been ultra-consistent without winning. She now steps up in trip which should be favourable to her and she still has a light weight, good barrier draw and I would love to get her a well-deserved confidence boosting win in this. PROPERTY is my ride in race three, the Blue Diamond Preview (C&G) for Robert Smerdon and Price Bloodstock. He was supported on debut and ran into the smart Catchy when finishing second. He now has that experience under his belt and he comes back to his home track. He did hang out on debut so hopefully he has learnt from that and trained on well. He has had a nice barrier trial and gallop at Moonee Valley coming into this. This will be a good guide to see where he fits in the Blue Diamond picture. In race four, the Blue Diamond Preview (Fillies) I ride TULIP for David & Ben Hayes & Tom Dabernig. She was very impressive on debut coming from back in the field when she drew wide. She has come up with a favourable draw in three and the stable is very happy the way she has trained on. I expect her to be showing her class yet again. DODGING BULLETS is my ride in race five, for Symon Wilde. He has been a model of consistency his whole career and his run style, barrier draw looks like it will pan out well for him. He has a lightweight, is a tough horse and one of the main chances in this small but competitive race. Race six, I ride HARD PROMISE for Robert Smerdon and Ultra Racing. He has won his last two starts and he now steps up again in trip. I was impressed with his last performance at Geelong when beating the older horses and I felt he would appreciate firmer footing which looks like he will get those conditions here. I expect him to take the next step. We had a lot of rain yesterday leading into the meeting and I’m looking forward to walking the track and seeing how it plays. I start in race one, with GRATWICK for Darren Weir. I rode him last start finishing third in a strong VOBIS Gold race. The first two home were too strong but he beat the rest home comfortably. Again, he has come up with a favourable barrier draw in three and he makes his own luck. In this small but competitive race, he will be one of the main chances. LA SPECIALE is my ride in race two, for David & Ben Hayes & Tom Dabernig. I rode this horse three starts ago when she resumed for the new stable. Since then she was narrowly denied victory two starts back, then last start, she closed off nicely from a wide barrier. Today we have the inside gate and there appears to be good pressure up front. She seems to get back in her races and needs luck in the run to get home. If she gets that in the last half of the race, she will be winning this event. In race three, I ride BLUE OCEAN for Lee & Anthony Freedman. She was very dominant in winning her last start at Kilmore. She now steps up in trip and she is well bred out of Special Harmony. She should have confidence form her last start but she will need luck from the draw. HARD CALL is my ride in race four, for John Salanitri. He had the blinkers applied last start and won very impressively. He now steps up in trip and this is a very competitive race but he will be one of the main chances. Race five, I ride DOMINO VITALE for Colin Little. I scored an impressive win on her last time. She has been well placed by her trainer. After taking on the Fillies & Mares last time, she now takes on the Open horses but gets in only 1.5kgs above the minimum. She stays at the same trip, there is a lot of pressure but she should settle in the first four and this is a great race for her to put consecutive wins on the board. In race six, I ride HURSLEY for Chris Waller and Qatar Bloodstock. I worked him on Tuesday morning and feel he has come on since his first up run. He seems to save his best racing for Melbourne and he is getting out to a more suitable trip. He does have an outside barrier draw to contend with but I expect him to run well and come out of this race with improvement going through his preparation. ANGRY GEE is my ride in race seven, for Jerome Hunter. He has been a consistent horse through his whole career. Running so well at this course and distance last time holds him in good stead for this race. This a competitive race but 2kgs off the minimum and a nice draw should see him sit on the leaders and be right there at the finish. Race eight, I ride EXCLUSIVE LASS for Nigel Blackiston. For the first time since I’ve ridden her, she has come up with a nice barrier draw and should find herself in the first half of the field to take away potential bad luck. She has been successful when winning her maiden at this course and distance. Any give in the track will only benefit her chances. In the last race, I ride MOSSIN’ AROUND for Grahame Begg. The blinkers have gone back on her today after a disappointing run when resuming but she did lose a shoe and pull up scratchy after running on the firm surface. If we can put that behind her, her form is good enough to be one of the main chances in this. I start in race two, with WAZAMBA for John O’Shea and Godolphin. She is an ultra-consistent filly who has had five starts for three seconds. She has a lot of speed and has come up with a favourable gate in one and her first up form has seen her runner-up twice. I expect her to utilise her speed and good barrier on this tight turning track and kick her campaign off with a win. RAPTOR is my ride in race three, for John O’Shea & Godolphin. He is a Medaglia D’oro gelding having his first run. I haven’t been on his back but I have seen him trial officially at Cranbourne and have a jumpout at Flemington. I noticed he didn’t have blinkers on in either trial and he does tonight and the sire’s progeny do perform better with blinkers applied. He has come up with a wide draw and will need luck. In race six, I ride COHESION for John O’Shea & Godolphin. He has been gelded and resumes tonight. Forgetting his last preparation, he is a horse that has won a Blue Diamond preview. He has a lot of speed and he looks like he has trialled nicely in preparation for this. If he finds his original form, they will find him too slick over the five furlongs tonight. I start in race one, with ESHTIRAAK for David & Ben Hayes & Tom Dabernig and Shadwell Stud. On debut, once he got balanced after getting down the hill he hit the line very strongly. I expect him to come on with that experience and the big, flat track and addition of the winkers should have sharp enough to win this race. BATTLECAMP is my ride in race six, for Lee & Anthony Freedman and Eales Racing. He hasn’t won for over a year. He has the addition of blinkers and does step up to a mile for the first time. He has drawn a favourable barrier in one, and there looks to be good pressure in this small field which should help him to relax as sometimes he has the tendency to get keen and overrace. If he turns up with his best form, this is a race that he can break his drought. In race seven, I ride SHARIF for David & Ben Hayes & Tom Dabernig. He is undefeated from two tries at this track and he has won first up before. He has come up with a wide barrier draw, so if they are able to close off from back in the field that will enhance his chances. It is a competitive race but hopefully he remains undefeated at this track. In the last, race eight, I ride HIGHBALLING for David & Ben Hayes & Tom Dabernig. His only win has been at this course but it was on the synthetic track and over six furlongs. He has come up with the outside barrier draw and will need some luck in this race. I start in race two, with RODIN’S DOLL for Robert Smerdon. She has been closing her races off really strongly but she now steps back in trip but has the addition of blinkers. There doesn’t look to be too much pressure in the race and tactically she gets a fair way back. I’m hoping the blinkers can make her focus a lot earlier and if she can do that and not give herself too much to do in the final 200m, she will be winning this race. PEPPERMINT LANE is my ride in race three, for Dean Krongold. She last won nearly 12 months ago, so she seems to find form this time of year as well as last time. When she last started to put a sequence of wins together it was fourth up like she is this time. If she finds her right form, she will be competitive in this. In race four, I ride CARUSELLE for Ian Hutchins. He has been a very consistent horse this preparation and his only defeat he had blinkers on and he did a lot wrong. He was a very good second last time and has come up with a favourable barrier draw. If he runs his usual consistent race he is one of the main chances in this competitive event. Race seven, I ride CRY IF I WANT TO for Mick Price. I rode her last start in a Listed race and she closed off nicely to finish fourth. She has drawn a wide gate again and the usual instructions are to ride her back. There does look to be nice pressure up front which will suit her run style. Even though she is back in grade, this is still a very competitive race but she has the advantage of a mare in form and she also has a very lightweight of 54.5kg. All going well, and they are able to close off on the day, she will be finishing hard. 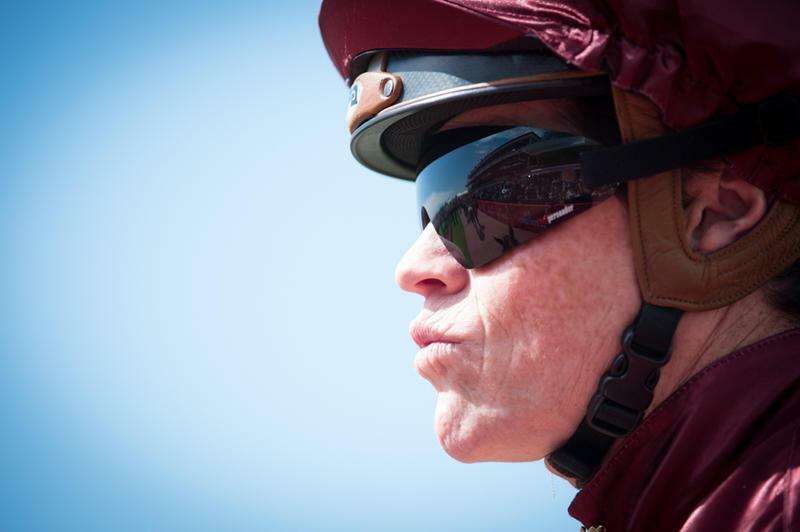 I’ve just picked up a ride in race two at Mornington for Ciaron Maher on VILLA ROSA who races in the Pope family colours. I’ve seen her trial officially at Cranbourne last year on Heavy ground where she was slow out but trialled nicely late. This year she has had a jumpout at Caulfield and looked to trial very smartly without any pressure. I’m looking forward to riding her and she has come up with a good gate in barrier one. All going and she brings her trial form to the races she should be winning. I start in race one with TRUST ME for Brett Partelle. He has been a very consistent horse who has only been out of the top three on two occasions. He has come up with a middle gate and there is going to be a lot of pressure. He has the blinkers back on and if he has luck in running it would be a very lucrative prizemoney race to win his maiden. RED SCARLET is my ride in race two, the Country Cups, for Helen Page. He loves this track having won his last three starts here including once at this distance and the other two up in trip over 1400m. He has only been running in small fields and he has been able to dominate those races. This is going to be a completely different scenario with a big field and a lot of pressure but you can’t knock a horse in form and one that races so well at this unique track. If he gets into his rhythm and a nice position he will take a lot of catching. In race three, I ride PEPPERANO for Liam Birchley. I won on this mare in the Grey’s race over the Flemington carnival over seven furlongs. She was rested and on her resumption, she ran second over 1200m. She now steps out to 1300m and she has the ear muffs taken off today. She has come up with an advantageous barrier draw in four and she can make use of that and take up a forward position. She will be very hard to run down and be a strong chance in this race. BOOM TIME is my ride in race four, the Magic Millions Trophy, for David & Ben Hayes & Tom Dabernig. He has won his last three starts in Melbourne but is having his first start right-handed. He has come up with a great barrier draw and gets in on the minimum of 54kg. He has a fantastic chance and is the one they all have to beat. Race five, I ride CATCH A FIRE for David & Ben Hayes & Tom Dabernig. He did finish third in the maiden on this race day last year. Her fresh form is excellent and she will make her presence felt. She will need luck form an outside barrier but I expect her to run a very forward race. LOYALTY MAN is my ride in race six, the Magic Millions Cup, for Michael Moroney. He has won his last two starts and one of those was at Canterbury so he is effective going right-handed. This is a very competitive race with a lot of pressure and I expect him to be thereabouts with luck in running. In race seven, the Magic Millions 3yo Guineas, I ride MISS WONDERLAND for Ciaron Maher. She is a lightly raced mare who has never been out of the top three. She has great gate speed and this is the first time she is stepping up in trip. She did finish second going right-handed at her latest race start so she has had a great preparation coming into this. However, this is a very competitive race with the top weight undefeated in all five start and he has been breaking track records and Global Glamour is also engaged who is a Group 1 winner. My filly doesn’t know how to run a bad race, she has the minimum weight and does make her own luck. She will make her presence felt in this strong event. I start in race one, with SLEEK for John O’Shea & Godolphin. She ran second at her last start and since then she has had a break. She has trialled nicely on two occasions coming into this, she has very good tactical speed and has come up with a favourable barrier in two. Gosford is a tight turning track and usually favours on pace runners. She will make her own luck and hopefully start her preparation off on a winning note. SHE’S MAGICAL is my ride in race three, for Greg Hickman. She won at the course and distance last time where she made all the running and was strong late. She now steps up into a 65 Open race. She has a light weight and a favourable barrier draw. It is difficult for horses to win straight away after winning a maiden but she is well placed and enjoys the track. In race four, the Belle Of The Turf Stakes, I ride ASINARA for John O’Shea & Godolphin. She is a big girl, who is drawn wide and her usual run style is to get back. As she has a big galloping action, I will have to help her around the course but on her best form I expect her to be closing rapidly late. GRUNDERZEIT is my ride in race six, the Takeover Target Stakes, for John O’Shea & Godolphin. This horse has a great affinity with Canterbury racecourse, which is very similar to Gosford. He has come up with a bad barrier draw and will need luck in running. If he gets that luck, he will be one of the main chances. Race seven, I ride PRECAUTIONS for John O’Shea & Godolphin. She is a 3yo filly taking on the older age horses and has come up with a favourable barrier draw in gate two. She is a horse that makes her own luck and she has only had three starts for two wins and a third, so she is consistent and will take a lot of holding out in this race on the minimum weight. I start in race one with JUKEBOX for Ciaron Maher. He is a Snitzel colt debuting and runs in Colin McKenna’s colours. I did his preparation work heading into the Spring when he was due to run on Caulfield Cup Day but was a scratching. He has come up with barrier two in a small but competitive field. He is a horse that gives me a feel that he has a lot of substance and a very bright future. I’m looking forward to seeing how he competes under race conditions and I expect him to run well. In the last, race eight, I ride HARD PROMISE for Robert Smerdon and Ultra Thoroughbreds. He has had two starts for a dominant win last time out when resuming, after he was second on debut in a Stakes race during the Adelaide carnival. He now steps up in trip which he looks like he will benefit from as he was very solid and strong through the line when winning over 1000m. He has come up with a widish barrier draw but I expect him to make it two from two this preparation. Today’s meeting is at Caulfield and the rail will be out 3m with the meeting to be conducted in very hot conditions. I start in race one with CATCHY for David & Ben Hayes & Tom Dabernig. I was impressed with her debut win at Moonee Valley when she came from last. The step up in trip will only help her as will the experience. I’ve compared her to, and she has given me a feeling as Miss Finland did as a 2yo and I expect her to be winning this event. AMADEUS is my ride in race two, for Mick Kent. He has two runs this preparation and has been going very well. He has come up with a wide draw but there is nice pressure and I expect him to be finishing the race off very strongly. In race five, I ride ROYAL APPLAUSE for Symon Wilde. She has been in ultra-consistent this preparation. She has come up with a wide barrier draw but all going well this is a race she can put a one beside her name. MOSSIN’ AROUND is my ride in race six, for Grahame Begg. She has excellent form and has had a freshen up coming into this race. She has competed very well at Caulfield and she is one of the main chances. In the last, race eight, I ride NOZOMI for Lee & Anthony Freedman and Godolphin. He has had a freshen up from the Spring and has trialled nicely coming into this. He has a very favourable barrier draw in gate one and I expect him to be very competitive in this strong race. I start in race one, with OUTBOARD MOTORS for David & Ben Hayes & Tom Dabernig. She is a first starter and has improved in her trials coming into this. I haven’t sat on her before but can see her improvement from her recent jumpout at Flemington. The stable has been in exceptional form and especially has a good handle on 2yos this racing season and I expect her to acquit herself on debut. LUNAR SPIN is my ride in race three, for John O’Shea & Godolphin. He has come up with a nice barrier draw and has been very consistent this preparation. A bigger flatter track should suit him and he is one of the main chances in this event. DIVINE MR ARTIE is my ride in race six, the Standish Handicap, for Brendan McCarthy. He impressed me with his first up win at the course and distance. Unfortunately, with the weight scale it means he is meeting some higher rated horses badly at the weights. However, I believe he is a Group class horse and I will be disappointed if he doesn’t win this. Race seven, the Bagot Handicap, I ride CRY IF I WANT TO for Mick Price. She is bred to stay and it is the first time she is getting out to this extended trip. Every time she has stepped up in trip this preparation she has improved. Unfortunately, she has come up with a wide barrier draw and there looks to be a lack of pressure in this race. She is definitely taking on more seasoned horses than herself and due to the rating situation, she does meet a few of her rivals badly at the weights. In the last, race eight, I ride DOMINO VITALE for Colin Little. She has been very consistent and I believe stepping back to the 1600m which saw her successful three starts back, is a plus. She has drawn a middle barrier and there looks to be solid pressure. She does have the impost of the topweight but she is clearly the best horse in the race. I start in race one, with TULIP for David & Ben Hayes & Tom Dabernig and she races in the Coolmore colours. She is debuting but has trialled officially at Tatura where she looked to have very nice ability. She has come up with a wide barrier draw but with the rail in the True position it usually isn’t too much of a disadvantage. If she brings her trial form to the races she will be very hard to beat. WITCHES is my ride in race two, for John O’Shea & Godolphin. She had her first run in Melbourne last time at this course and distance where I thought she was a little plain on that night. Subsequent to that, the trainer has applied the blinkers today and she has come up with a favourable barrier draw. In this competitive race, she will make her presence felt after having experience this way of going and having raced at the track. In race five, I ride GRATWICK for Darren Weir. He has been freshened up and is back in trip. He has a very nice barrier draw and this looks like a really nice race for him to win. QUARK is my ride in race six, for Daniel Bowman. He is a lightly raced 5yo who has had four starts with an impressive record of three wins. He has been very well placed and now steps up to a city race but unfortunately he has come up with an outside barrier draw. He is a horse that loves to be ridden forward and is very effective in doing so. If he doesn’t have to work too hard he will be there for a long way and they’ll have to run him down. Race seven, I ride EXTRA OLIVES for Lee & Anthony Freedman. She is second up this preparation, after running well first up when not beaten far on Heavy ground. She is a very consistent mare who has come up with barrier one which should give her an economical run and give her every opportunity for her to run her best race. Happy New Year to everyone and I hope that 2017 is a safe and successful one for all. I hope everyone had a very enjoyable Christmas with family and friends. Today I’m riding at Sha Tin, the last meeting of my short-term contract for the Hong Kong Jockey Club. I have really enjoyed my time here and especially spending Christmas with my family in Hong Kong. I start in race four, with CATCHMEIFYOUCAN for Chris So. He has two runs and he has been finishing a fair way back. He has drawn barrier one which is favourable and should give him every opportunity to run his best race. KING BOUNTIFUL is my ride in race six, for John Size. He is a horse that won three starts ago and is a solid staying type. In this grade, he will be very competitive but he will need some luck from an outside barrier draw but he is definitely one of the main chances in this even race. In race seven, I ride ENREACHING for John Size. He is backing up, after running over 1000m last start and now steps out to 1650m on the All-Weather Track. Before arriving in Hong Kong, he had placed twice on the artificial track in England, so it is a surface he is familiar, comfortable and been competitive on previously. He has come up with a reasonable barrier draw and I expect he’ll be one the main chances. SUPER WISE is my ride in race eight, for Dennis Yip. Before arriving in Hong Kong, he has one start in Australia and raced as Southerly Wind and was trained by Mick Kent. He was very dominant in winning a 1000m race at Flemington. He has had one start in Hong Kong where he showed speed and weakened late in the race. I have sat on him in work and feel he is in good order to run a strong race but feel he will benefit from a preparation to get acclimatised to the conditions of Hong Kong. Nevertheless, he has come up with a reasonable barrier draw and he is very capable. MIGHTY MAVERICK is my ride in race eleven, for Derek Cruz. I rode him here two starts ago when I came for a one meeting visit where he came third for me and since then he has run second. He has come up with a wide barrier draw. The topweight his having first run in Hong Kong after being placed in the Rosehill Guineas and the BMW in the Autumn so this won’t be an easy assignment. This is a very competitive race but if I can get luck from the draw he will be there at the end of the race. I start in race two, with VIVACIOUS WINNER for Derek Cruz. He has been racing well, he just does a lot wrong in his races but if he finds his true form and has luck from an outside draw he would be one of the main chances in this very competitive Class 5 race. CONFUCIUS SPIRIT is my ride in race three, for David Ferraris. He has been going extremely well and does show good versatility in the way he has won his races in the past. He can race on speed or he can be ridden back further in the field. He has come up with a middle barrier draw and he is one of the main chances in this event. In race five, I ride TRAVEL AMBASSADOR for Chris So. I won on him last time out and he stays in the same grade, but he has gone up seven points in the rating system and he has the outside barrier draw so we will need a lot of luck. The horse is in great form and does love the track. HO HO FEEL is my ride in race six, for Dennis Yip. I partnered this horse last time at Sha Tin over 1800m so he steps up in trip. He closed off nicely to finish third. He has very good form at Happy Valley but he has never raced at 2200m. It does look like the trip will suit him but he is a difficult horse to get out of the barriers and get him into a forward position. If I can get him out of the barriers and get him into a position handier in the run it will pay dividends in the end. In race seven I ride LAMAROSA for Paul O’Sullivan. He won two starts ago when he drew favourably and was close to the speed. Last start, he drew wide and had to work really hard on the speed. Again, he has come up drawn one form the outside but the race looks like it will be run at high speed. Race eight, the last race, I ride BACK IN BLACK for Paul O’Sullivan. Last season he started off in Class 4 and got Class 2 so he took huge steps last season. He is a horse that goes very well at the track. We do have to contend with an outside barrier draw but he is versatile as he has been ridden on pace form a good gate and ridden back from a wide draw. He is always competitive but he will need favours from the draw. Today, I ride at Sha Tin in a mixed meeting where there are races on the All-Weather Track (AWT) and the turf track. On the turf track the rail is in the C+3 position which is the widest possibly placement which makes the track very narrow. I start in race three, on the AWT with EROICO for John Size. He has excellent form on the dirt as he was beaten by one of the best dirt horses in Hong Kong two starts ago. Last time at this course and distance he failed because of a wide barrier draw and a sloppy surface. Today it is a small field and he has come up with a favourable draw in barrier two. He’ll make his own luck and be the horse they all have to beat. FOREVER ACCURATE is my ride in race four, for Dennis Yip. He was successful last time at the course and distance but he did have barrier one. Today we have to contend with a wide draw. He has trained on well as I worked him on Thursday and was happy with the way he went. If he has luck from the draw, he can make it two in a row. In race six, I ride METALLIC STAR for Dennis Yip. He has come up with a favourable barrier draw and there doesn’t look to be too much pressure on paper which will suit him, as he is an on-pace runner. He is usually aggressively ridden from the start to ensure he takes up a forward position, usually leading. I expect him to get every favour from the draw and he should be hard to run down in this class. TOP SCORE is my ride in race seven, for Paul O’Sullivan. He started his racing in Sydney under John Sargent where he was very successful and competitive. Since arriving in Hong Kong he has had one start where he finished third. I will need a lot of luck from the outside barrier and getting around the turns as he wants to hang out. If he has luck from the barrier draw he can make his presence felt. In the last race, race ten I ride WHOOP WHOOP for Dennis Yip. He raced in Australia under the same name and was trained by Mick Price. He showed good stamina when successful in Australia. He has had one start in Hong Kong and they felt he was ridden too close to the pressure and finished second last. He has come up with a good draw and I think I will be asked to ride him a little quiet earlier and be finishing strong late. Tonight, I’m off to Happy Valley racecourse in Hong Kong where I’ll be competing under lights. It is quite a magnificent track set in the middle of high rises on Hong Kong island. The track has a tight circumference of 1400m and usually races every Wednesday night. I start in race one, with CLOUD NINE for Tony Millard. He has come up with a very favourable barrier draw in gate one. It is a Class 4 event and he will make his own luck from an advantageous draw. He races on speed and will be one the main chances. MALAYAN PEARL is my ride in race three, for Derek Cruz. This is a Class 5 event over 1800m, racing on the ‘C’ course which has a very sharp turn and it means the horses find it hard to stay on the rail when the turn the corner into the straight. He has drawn barrier nine and will need some luck but since he has dropped back in Class 5 he has been very competitive and will make his presence felt in this race. He is a big horse and he will take some running down. In race four, I ride ROYALE ELEGANCE for Chris So. He has a favourable barrier draw, there looks to be a lot pf pressure which will suit him as he is a get back, run on horse. If he has luck in the straight, he will be winning this race. TRAVEL AMBASSADOR is my ride in race five, for Chris So. He has come up with a wide draw and this looks a very tricky race as on paper as there doesn’t look to be much pressure. I saw Brett Prebble ride him two start back when he showed initiative and took off a long way from home and was only narrowly defeated. I have also seen him get back and stay on. He will need the race run to suit him from the draw but if he has luck he will be thereabouts. Race seven I ride LITTLE ISLAND for Manfred Man. He is coming off a last start win at the course and distance. He has come up with a wide barrier draw. When he won his last start, Zac Purton showed initiative when he took off when they were going slow. Again, he is going to need some luck from an outside draw, but he is in a winning form and races extremely well at the track. I start in race one, with INFRA DIG for John O’Shea & Godolphin. She is having her first start down the straight and in Melbourne. She has excellent form and the stable has reported she has travelled down extremely well. The horse that beat her last start has gone on and been placed in an Open Stakes race. She is the only filly against the mares but has a nice weight, a good draw and will be charging home late. LE BOSS is my ride in race two, for Robbie Griffiths. He has been a very competitive horse and it looks like he didn’t handle the tight turning track of Moonee Valley last time. If you forgive that run, his form reads well for this race. He has come up with an outside barrier and it will be interesting to see what my instructions are. There is no pressure up front so it will be a tactical race. In race three, I ride DOMINO VITALE for Colin Little. I loved the way she was racing this preparation and then Colin put the Blinkers on last time for a dominant win. She is now an inform mare, drawn well, 1kg off the minimum and the one they have to beat. DIVINE MR ARTIE is my ride in race four, for Brendan McCarthy. I have had one ride on him for one win which was over 1400m. He has since had a nice break, his first up form is solid and has trialled nicely coming into this. The only time he competed down the straight he was unlucky not to win in a very strong 3yo race over the Carnival. It is a very even race where every horse has a chance and Divine Mr Artie is one of the main chances. Race six, I ride KHAKI for John O’Shea & Godolphin. He has only had the three starts and never missed a place. He is having his first start in Melbourne and he kicked his campaign off with a confidence building win to break his maiden status. He has drawn a wide gate and by that time of the day we will know where the best part of the track is. He is able to race forward or back, has a good finish on him and he is one the main chances in this competitive 3yo event. In race seven, I ride STAR FORTUNE for Clinton McDonald. He won first time out this preparation and ran well again last time. He noes steps out to 1400m and is drawn well to get a nice run and will make his presence felt for a long way. ENCOSTA LINE is my ride in race eight, for Chris Waller. He is a very solid galloper in great form. He won two starts ago at Sandown when the blinkers were put on for the first time, then he backed that up with a solid run behind Boom Time who I have a very big opinion of. This is a very even race, there is no pressure up front so it will be interesting to see what the stable instructions are. He is a very solid galloper and will take running down if he has luck from the draw. In the last race, race nine, I ride BRADMAN for David & Ben Hayes & Tom Dabernig. I have been successful on him at this course and distance from a similar wide barrier draw. I assume I will be asked to ride him back and to have him hitting the line hard. There looks like a lot of pressure in this race. If they are able to close off, he is definitely going to be strong late. The rail is out 5 metres tonight and it is usually hard to make ground and it is favourable to draw close to the rail. I start in race one, with CATCHY for David & Ben Hayes & Tom Dabernig. I have trialled her on two occasions coming into this debut run. They are all first starters but I have a high opinion of her and if she brings her trial form to the races she will be winning. WITCHES is my ride in race two, for John O’Shea and Godolphin. She resumed last start and won her maiden. She is only lightly raced and has never gone left handed before as she has done all her racing in NSW. She brings confidence, has drawn favourably and is one of the main chances in this small but competitive race. In race seven, I ride CHOUX DIVA for Simon Morrish. I have had one ride for one win on her and would like to keep the 100% strike rate up but she will have to improve as she has finished last and second last at her two runs this preparation. I start in race three, with ASTLEY for John O’Shea & Godolphin. I rode him last time and he was never fully tested as we never got clear running. He has been a very consistent horse and we need to negate an outside barrier draw but with luck and not having to do too much work this is a race he is good enough to be winning his maiden in town. RELAUNCH is my ride in race six, for Mark Kavanagh. She is coming off a confidence boosting decisive win by 3 lengths last start. She steps up to 1300m and does have an outside barrier draw to contend with but she is one of the main chances in this even contest. In race seven, I ride MY SANCTUARY for Darren Weir and Waratah Thoroughbreds. She was bred in Europe and brought across to Australia start her racing. She is only a lightly raced 5yo mare by Oasis Dream. She has won at the track and has won second up. She is second up here after a nice run first up over 1400m and steps up to a mile here. She has come up with a favourable barrier draw where she should get every favour and she should be hard to hold out in this race. In the last race, race eight, I ride CONCUBINE for David & Ben Hayes & Tom Dabernig. She has been a model of consistency this preparation. She is ultra-consistent and if she hasn’t been in the top three or wining she hasn’t been far away. She is a big strong mare who has come up with a wide draw which shouldn’t be a disadvantage and there doesn’t look to be too much pressure in this race. She looks very solid and she showed that last time at the same course and distance. The horse that beat her last time was Yogi and you will be hearing more about him. She is definitely the horse they have to beat. I start in race two, with EXCLUSIVE LASS for Nigel Blackiston. I finished fourth on her last time and she finished off really well. She now steps up in trip but again she has drawn an outside barrier draw. 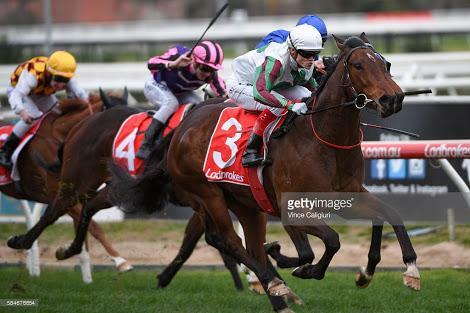 Although it is a small field, it looks quite tactical and from the draw she will need a little bit of luck but it is Pakenham and it has such a long run in and usually wide barriers here aren’t as much a disadvantage as other tracks. With luck from the gate and all going well she is one of the winning chances. TANGO ROCK is my ride in race three, for Mick Kent. He is resuming, he has been gelded and has excellent form and will appreciate the long run in. In this even race, he is one of the main chances. In race four, I ride MATERNAL for John O’Shea & Godolphin. She has been in excellent form this preparation. She now comes back to 1400m where she has won at the course and distance. She has a nice middle barrier draw and she is well weighted only 2kg over the minimum and looks to be the winner. SNITZSON is my ride in race five, for David & Ben Hayes & Tom Dabernig. He resumed with an impressive off the pace win at Cranbourne. I love the way he closed off and if he has come on with that confidence, he can make it two in a row. 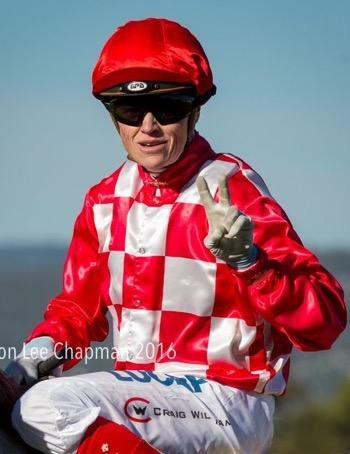 Race seven, the Pakenham Cup, I ride SWACADELIC for Aaron Purcell. He is coming into this race with excellent form as he was narrowly defeated by Qewy in the Sandown Cup who I ran fourth on in the Melbourne Cup. He does come back 700m from his last outing. He is a get back run-on horse so if the track is racing fair he is going to have a real good closing finish. The two main opposition look like they will be running first and second so we will be giving them a head start but the times he can run, he can give them a start and a beating. In race eight, the VOBIS Gold Bullion, I ride GRANDE ROSSO for David & Ben Hayes & Tom Dabernig. He was very impressive resuming for his first start with the new stable but looked disappointing last time but he did have an excuse with the vet report revealing he was lame. In this even VOBIS race, from a nice barrier, he is going to be very competitive. In the last race, race nine, I ride GALLIC CHIEFTAIN for Darren Weir and OTI. He is an import that has two runs in Australia. He was strong through the line last time and steps out in trip which will be to his benefit. He doesn’t look like he has the tactical speed to make the most of the barrier draw but he is going to be one of the strongest horses late.